The Department of Education said it is opening up a summer jobs program for poor but deserving students. 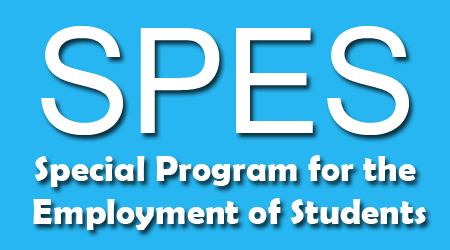 The Special Program for the Employment of Students is an annual work-appreciation program. A DepEd official said all the jobs offered under the summer program are clerical and office jobs. has an average passing grade during the last school/term attended. All Applicants should possess skills necessary in office setting. Photocopy of the latest Income Tax Return (ITR) of both parents or, if non-fillers, photocopy of BIR certification that both parents are exempted from payment of tax. And for Out-of-School-Youth (OSY), a photocopy of the certificate of good moral character issued by the authorized barangay official where the OSY resides. For more inquiries and additional information, please log on to www.deped-csca.com or like the DepEd CSCA Facebook Fan Page (http://www.facebook.com/csca.deped) or call telephone number 636-3603. Comments or suggestions about "DepEd Summer Jobs Requirements - SPES" is important to us, you may share it by using the comment box below.